Where can I obtain more free templates for page turning book design? Q: Although Page Turning for PDF has provided many templates to quickly design page turning book, it is not enough for me, I would like more rich templates. I wonder where I can get more free templates. A: This problem has been taken into consideration, and we keep offering free templates for our customers. For the convenience of users, every day we design new beautiful templates in different styles and upload them to our website so that users can free download and apply them to their page turning book design. 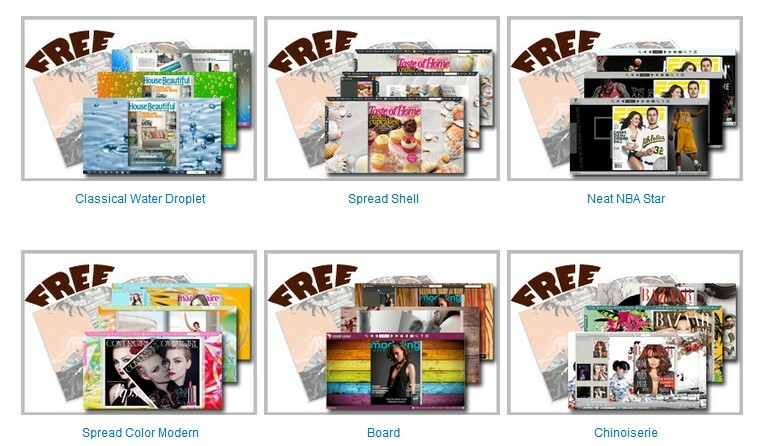 To obtain more free templates, you can directly open the webpage of Free Theme&Template Download at URL: http://www.page-turning-maker.com/themes-2012.html where you can browse the theme list to find out your favourite theme.